Technology has invaded all parts of our lives in the last 25 years—but let’s be honest. The golf gurus among us turned to technology early on. Many duffers latch on to the search for holy grail technology as a way to improve their game. And why not? The changes in club technology in the past few years have led to dramatic improvements in average drive length. Putters, irons and drivers continue to evolve, but those are often personal choices that you want to feel to buy. Sure-Set: Build a killer backswing when you practice with the Sure-Set ($99.95), a compact training tool that helps your body learn the right way to swing. That’s the pitch, anyway! Fitness bands: It’s a year old, but we think it’s worth reading this review in Forbes if you’re in the market for a fitness band that not only counts your steps but also helps you figure distance on the golf course. The review compares Golf Buddy’s BB5 (still available from some sellers for around $200) and the Microsoft Band in great detail and has already talked us into a purchase. 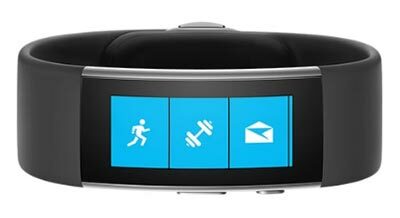 Microsoft Band 2 ($249.99) is out now, and it works not only on the golf course, but in many other sports and activities as well. The coolest part for golfers? It maps your shots for your later review. GolfPad Tags: There are lots of bulky watches out there today offering sophisticated GPS tracking, shot tracking, and more, but these tiny tags give you lots of info without the bulk on your wrist. These small buttons screw onto the end of your clubs and link with your Android phone via near field communication (and soon with a separate GolfPad Link wireless tracker ($99), it will be compatible with your iPhone). Optishot: Finally, there are those days you just can’t get out there. It rains. You have to work late. Sooner or later, it will be winter again. Check out the Optishot 2 golf simulator ($750). It’s expensive, but think of all the extra practice you’ll get in! 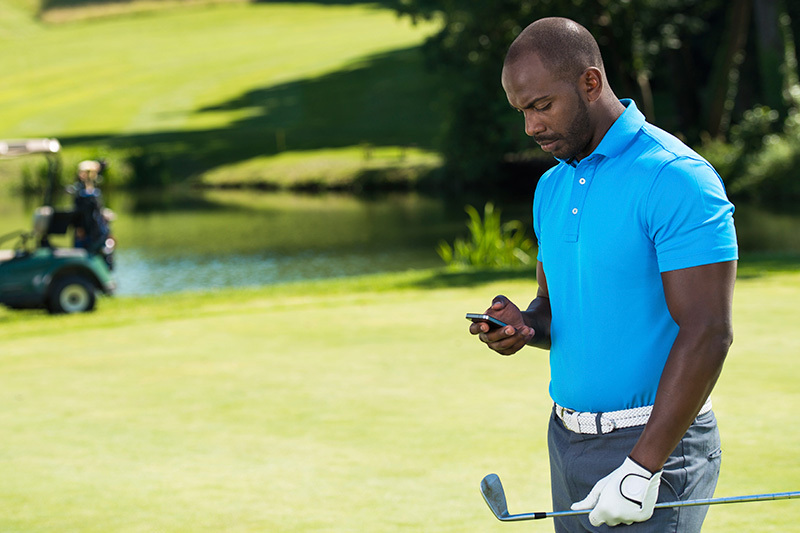 Hook up to your computer via USB and track your shots, and with a season pass ($99 and up), you can connect to other players online and “play” golf courses around the world.